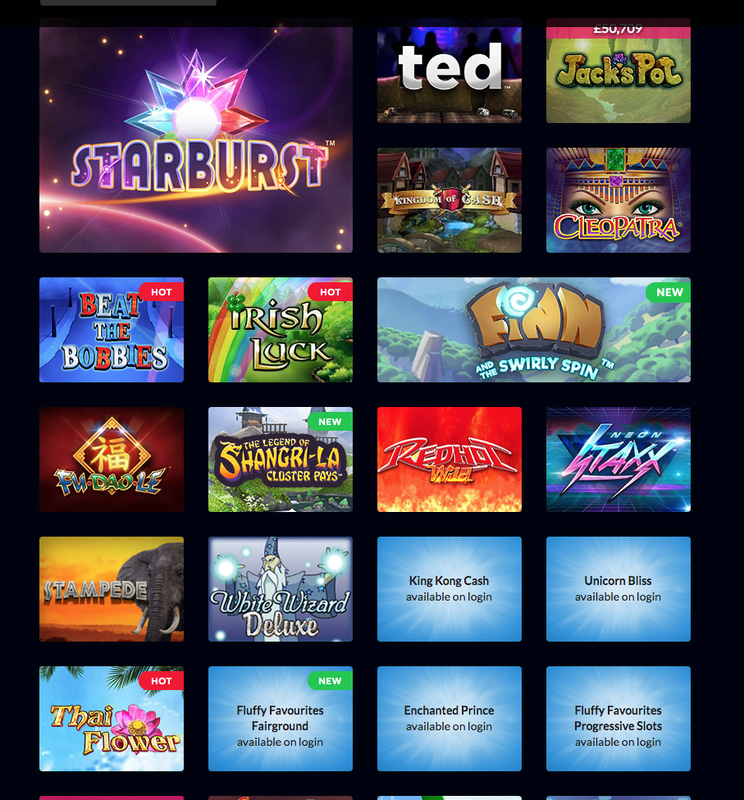 Wicked Jackpots is one of the hottest new casino and slot sites, brought to you by United Commission, which already has brands such as Sugar Bingo, Gossip Bingo, and Moon Games under its belt. Wicked Jackpots is powered by Dragonfish, so regular players will recognise many of the titles from other sites. That said, there is an impressive selection of more than 200 games, including some fan favourites, such as Starburst, Gonzo’s Quest, and Rainbow Riches. While slots are certainly the main attraction, there is a live casino, European roulette and wheel of light, if you fancy your chances in the casino. One of the huge advantages to Wicked Jackpots is the mobile compatibility. Once you’ve signed up online on a desktop or laptop, you can log in and play on any Apple or Android mobile or tablet device. As soon as you land on the Wicked Jackpots site, it’s clear that the party is about to start. There is a funky black, white, and pink colour scheme, with a rock concert in the background. The banners on the home page manage to grab your attention without being distracting, while the menu is incredibly simple to navigate, which only enhances the experience further. High rollers will be thrilled to hear that Wicked Jackpots rewards its loyal players with an impressive VIP scheme. There are five levels, from blue to platinum. The level you are eligible for depends on how much you’ve deposited into your account. Each of the levels offers different rewards, with blue starting out with the welcome package on first to fourth deposits, but as you work your way up to platinum, which you’ll achieve after depositing £5,000, the bonuses are even greater.